By Kristi · 33 Comments · · Disclosure: This post may contain affiliate links. Using an affiliate link means, I might earn a commission from any purchases through that affiliate link. 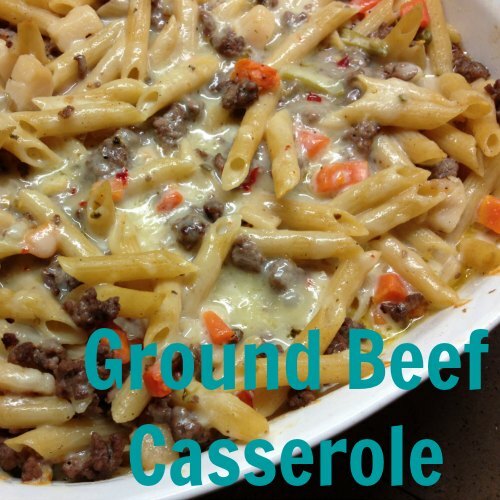 After talking with my friend about how to stop feeling like a short order cook, she shared this ground beef casserole recipe and we haven’t looked back. Packed with flavor and the perfect ingredients, this simple family meal is sure to become one of your families favorite recipes. Over the years, we have done many variations of this recipe depending on what we had in the home. In the picture above we used Penne noodles and pepper jack cheese with the same results….a perfect easy family meal that our family dives into without hesitation. Cook macaroni noodles as directed and drain. Brown ground beef and onion and drain grease. Melt butter, mix in flour and milk to make the sauce in a bowl. 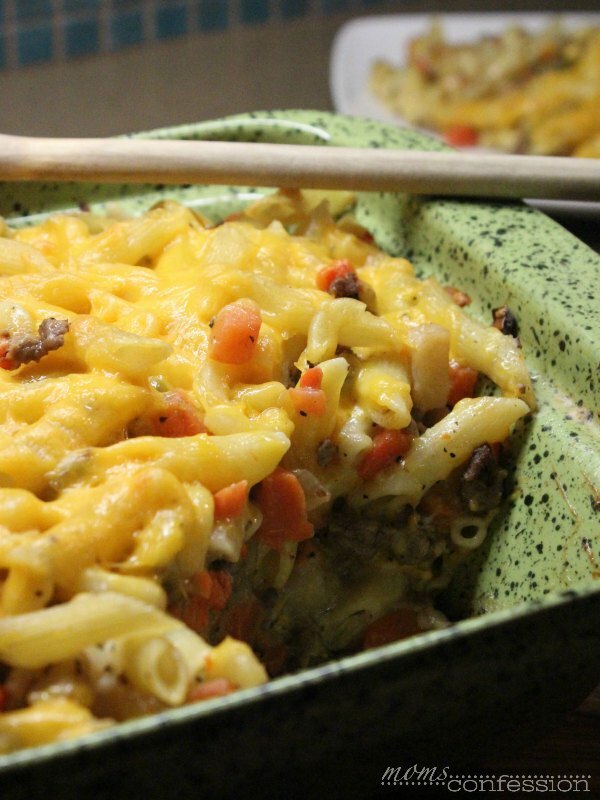 Add Veg-All Mixed Vegetables and macaroni noodles together with ground beef in a 9×13 oven safe dish. Mix in 1 cup shredded cheese and add sauce mixture to casserole. Bake at 350˚ for 30-40 minutes. 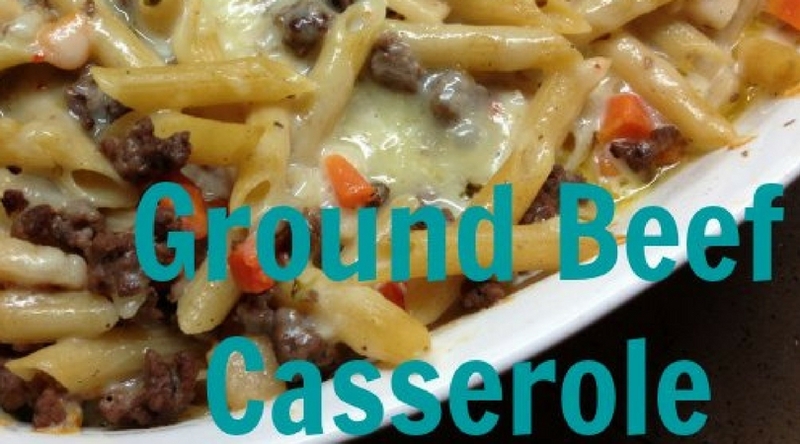 Get the printable Easy Ground Beef Casserole Recipe below. Add Veg-All Mixed Vegetables and macaroni noodles together with ground beef in a 9x13 oven safe dish. Do you ever change up ingredients to your favorite family meal recipes based on what you already have at home? Hi Miranda! Veg-all is mixed vegetables in a can. I have also updated the recipe to include this information. Thank you for reaching out! Thanks for stopping by Lauren! Hope you enjoyed the recipe! Looks good! I’m trying it and it’s in the oven right now. Just an observation – I didn’t see where it said to add the salt and pepper, but I assumed it would be best in the sauce so that’s what I did. Also, I think it would be helpful to have a suggested pan size – I’m using a 9×13 and it looks like it’s a good fit, but it’s nice to not guess. Thanks for sharing! Thank you for the suggestions and stopping by Laura! I hope you enjoyed the recipe this evening with your family! What is shredded Cheese Sauce? Hi Kristi! It was a typo on my part. It has been fixed. Sorry about that. I wonder if you could freeze this at the point before it goes in the oven….thoughts? I have not tried freezing it, but I don’t see why you couldn’t do it. Let me know how it turns out Cathy! Do you drain the vegall before mixing in? Yes, drain the Veg-All into a strainer and rinse if you would like to. Thanks for stopping by…hope you enjoy the casserole! 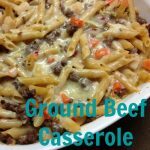 I saw this recipe and thought it was a very good use of ground beef that I could incorp into the rotation on the family menu. I did season the beef and the sauce with a bit of salt, pepper and onion powder. My husb doesn’t like onions and I love them so it is a compromise. He is also not a pasta fan so I sub’d potatoes for the noodles and melted some pepper jack on top. This is such a versatile recipe, I love it. Thanks for the inspiration! God bless! Hi Chris! I’m glad you enjoyed the recipe and were able to substitute the potatoes and onion powder seasoning to compromise. I’m definitely going to try your version. Thank you for sharing and stopping by! I use any type of shredded cheese with this casserole. Hope you enjoy! This recipe was so simple! It is great to find a recipe that is so versatile. I stuck pretty close to the original recipe. Instead of Veg-All I used frozen peas and carrots, I also doubled the sauce and cheese. I also seasoned with salt and pepper and a but of fresh garlic. Its in the oven and smelling amazing! Hoping it tastes as good as it smells! Thanks for the awesome recipe! I love this recipe i was looking for a good recipe to use hamburger in cause i have a large family. And i also love the veggies in it. I’m always trying to get my kids to eat more vegetables which is hard with a wide range of ages. Cooking this for dinner tonite. Looks DELICIOUS. I am Interested in trying this, but I do not see the sauce ingredients. Am I missing something? The sauce mixture is listed in the ingredient list. Liked this. My husband can be picky but enjoyed this. I definetly wrote this one in my notebook of online recipes. It’s nice to find smoething new to do w/ground beef. I was getting sick of tatertot casserole. Was looking for an easy recipe and I’m trying this one. It was so easy to make! I added mushrooms chopped up and fried with the Hamburg and onion along with the salt and pepper, I added Mrs. Dash seasoning. Didn’t say to cover in the oven so I didn’t. Came out great and was delicious! Glad you enjoyed the recipe and put your own twist on the recipe Barbara! I’ll have to try your additions when we make it again! 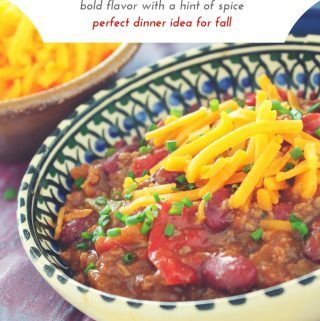 This recipe looks delicious but could I use rotel instead of the mixed vegetables? You could try it, but I’ve never done it. We add the mixed vegetables to help our family get their daily intake of veggies. If you decide to try it with Rotel, I’d love to know how it turned out. This is in the oven now! It looks so good and easy! Thanks for posting the recipe! Thank you for sharing this recipe! My husband & I really enjoyed it. Plus it is a dish I think my grandchildren will eat while they visit. I did make a few changes. I added some basil, minced garlic, chopped peppers & some beef broth base (Better than Bullion). This recipe is a keeper! Thank you! Love the additions you added to the recipe Babette! I’ll have to try adding them next time! Made a few changes, like frozen veggies, reduced pepper to 1/4 tsp, increased salt to 1/2 tsp, and increased milk to 2 cups. How that I have read some of the other reviews I will add some garlic and possibly some beef bouillon next time. Just out oven. Looks good! Delicious! It is not very often that my husband and daughter go back for seconds… they did with this recipe though. Thank you. I did add saluted mushrooms on top because I needed to use it before it got old. It did make a great addition. I love that this recipe can be tweaked in many ways!